Why hellooo there! So glad you could pop by. 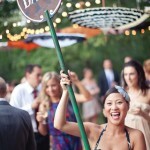 I heard it on the grapevine that you’re planning one heck of an uber awesome wedding day. 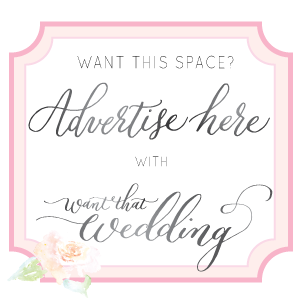 Do you know what you need to go with that rather awesome wedding day? 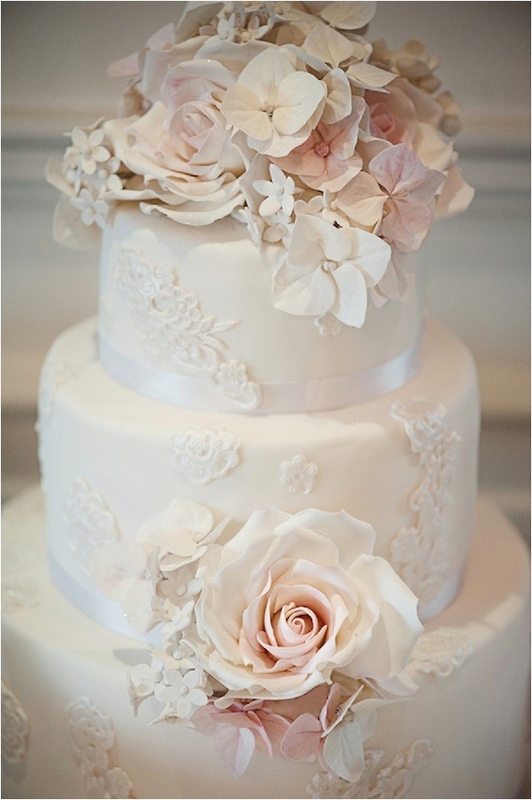 *Leans in a little closer* Only one of the prettiest & coolest wedding cakes around in 2014, yes indeedy! 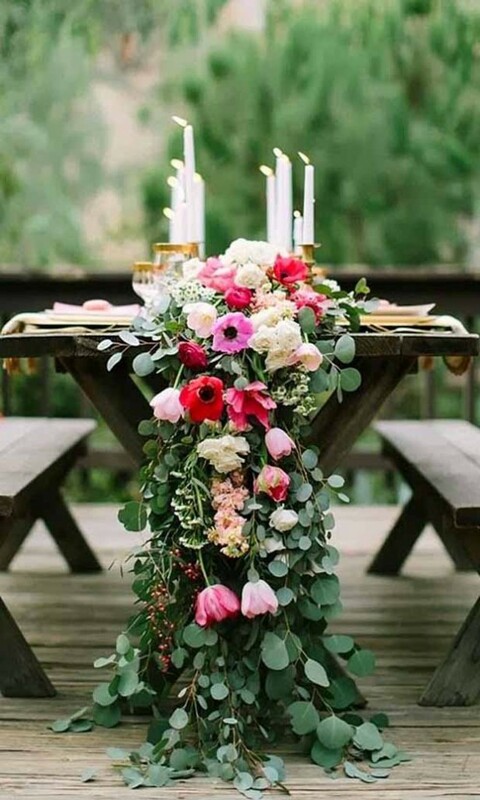 According to trend reports, weddings are getting softer, lusher and more personalised with pale pinks (think dusky, neutrals and antique pinks) being back in vogue. Wedding cakes have become an expressive medium for any couple and represent the artistic centrepiece of many wedding receptions. 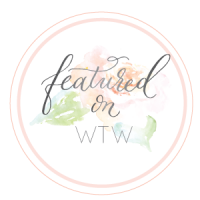 Frilly, soft cakes that mimic the exquisite folds, rosettes and ruffles of wedding dresses by designers such as Vera Wang have been all the rage for a while now. This is set to continue throughout 2014 and beyond. 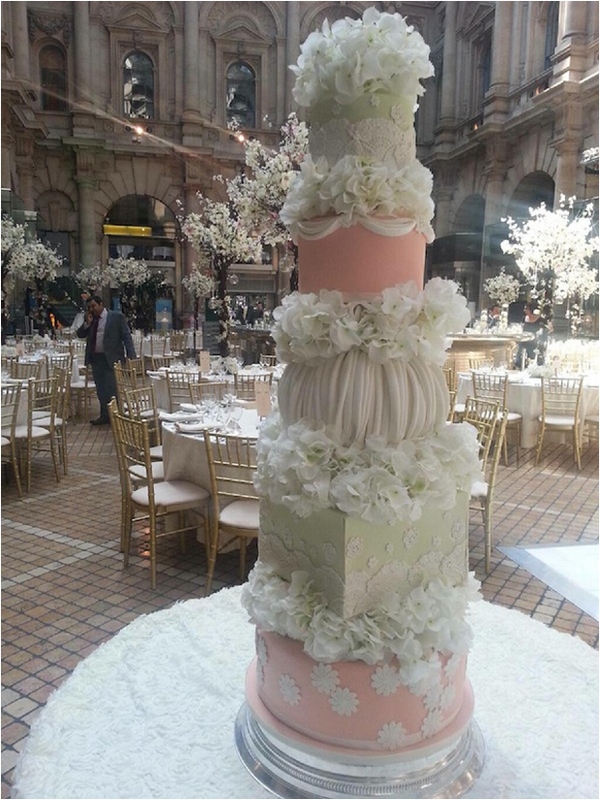 From tall statuesque edifices to upside down, gravity defying pieces, brides are looking for ways to make their wedding cake an unforgettable one. 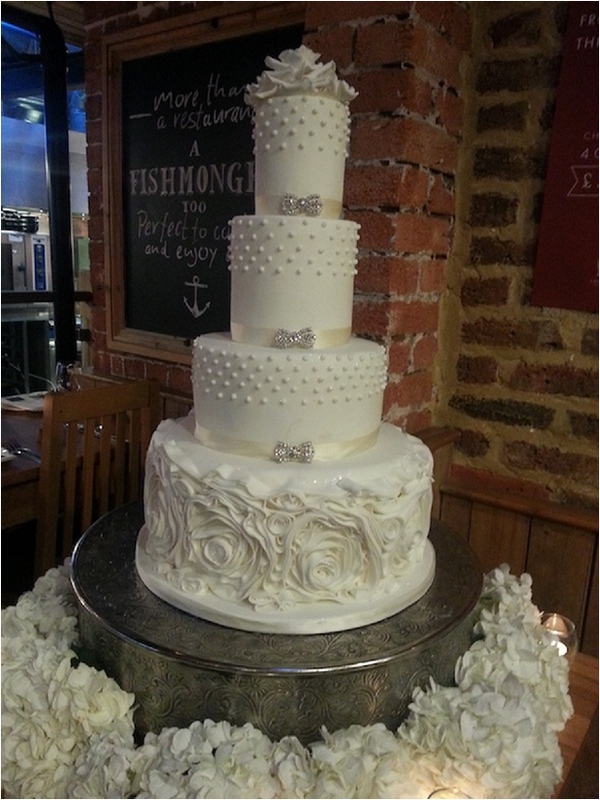 We also predict that unusual or non traditional cake shapes will also be on the increase and a key wedding cake trend for 2014. 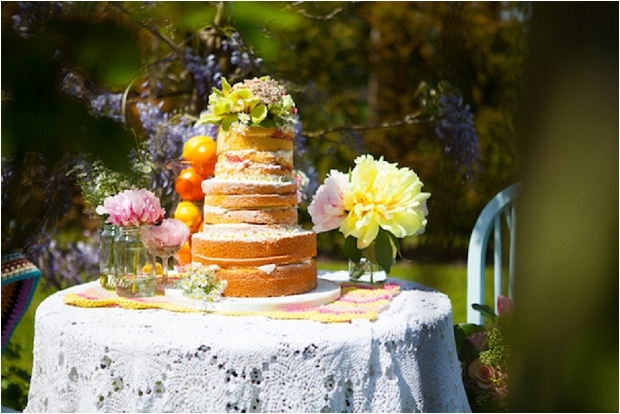 Ideal for rustic weddings, these gorgeous cakes feature uncovered cakes with generous layers of buttercream, jams, conserves, fruit purees or curds. In keeping with the natural look, they can be decorated with fresh flowers or fruit. 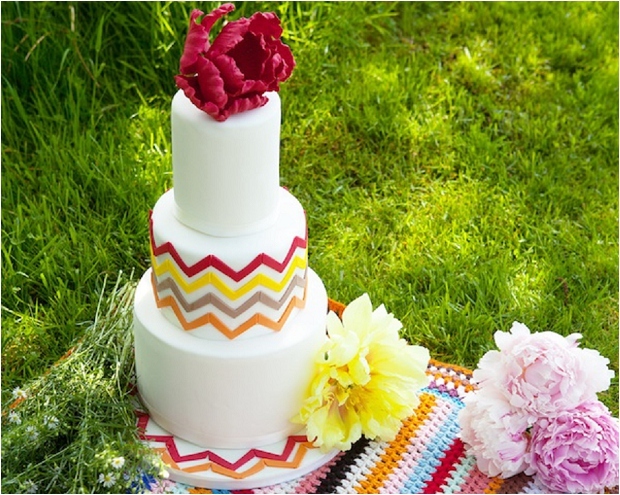 Geometric patterns on cakes has been a growing phenomenon. 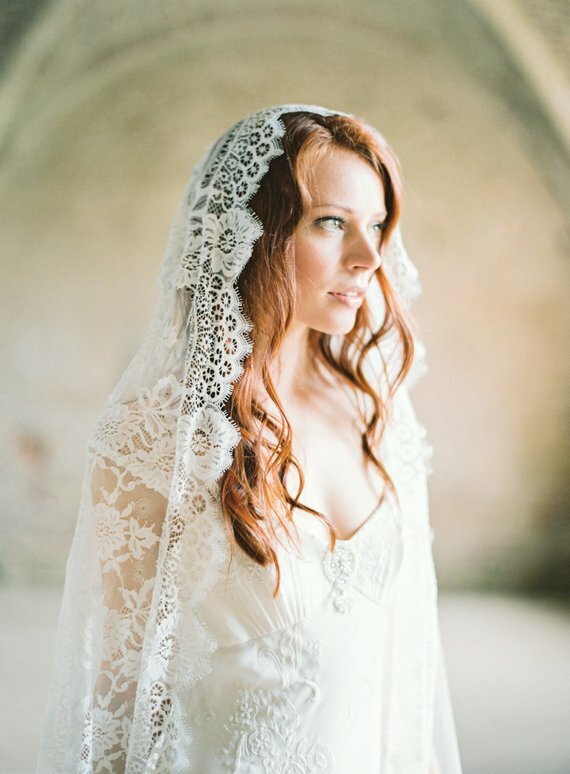 They appeal to the sensibilities of modern brides with their structured patterns and elegant clean lines. Reports of the demise of the cupcake may be a little premature. Whilst there has been many challengers to the cupcake throne and these little delights may have lost their shine a little, they are still being requested by many brides. 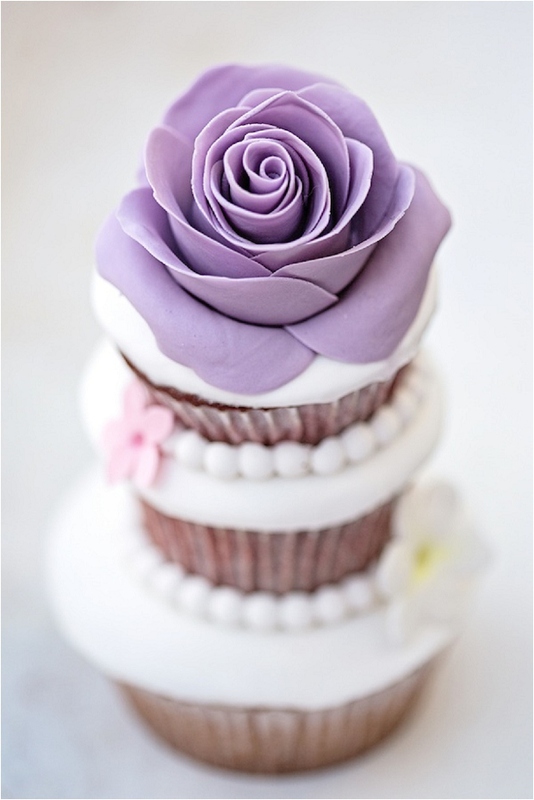 The fight back for cupcakes may be in the way they are adorned with the most realistic edible jewellery, sugar flowers. They can even be tiered. So take that cronuts, donuts and macaroons! 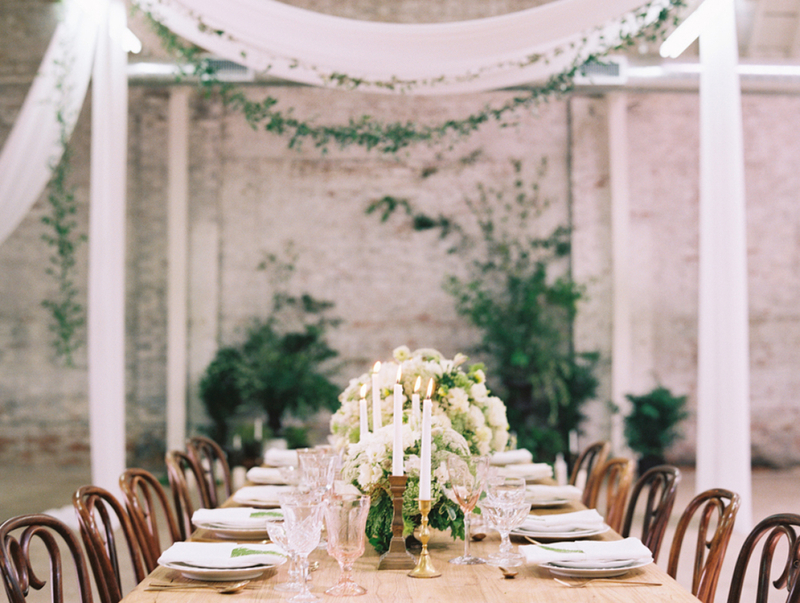 Also called sweet tables and dessert bars, this is a very imaginative way for brides to incorporate some of their favourite edible delights into their wedding. 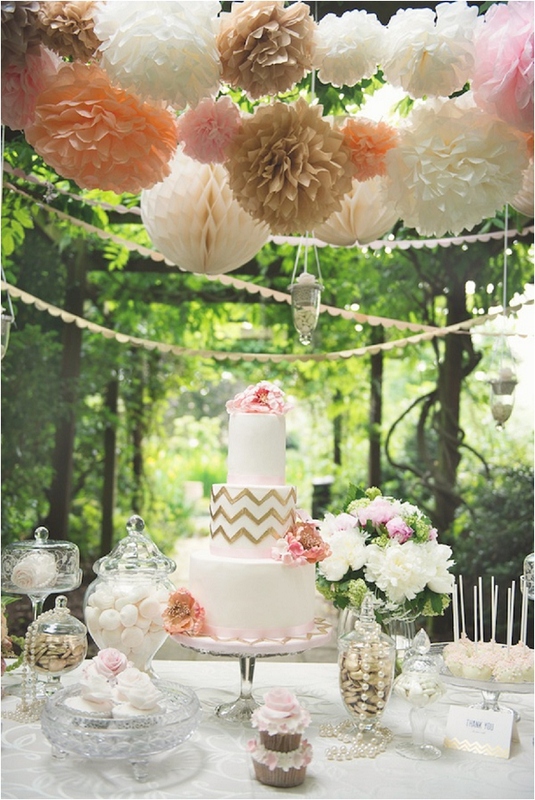 The dessert tables usually reflect the style and colours of the wedding and can be formal or informal. The pantone colour for 2014 is the pinky purple Radiant Orchid. Blending both cool and warm undertones, this colour has an appealing hue and can work brilliantly on a cake. 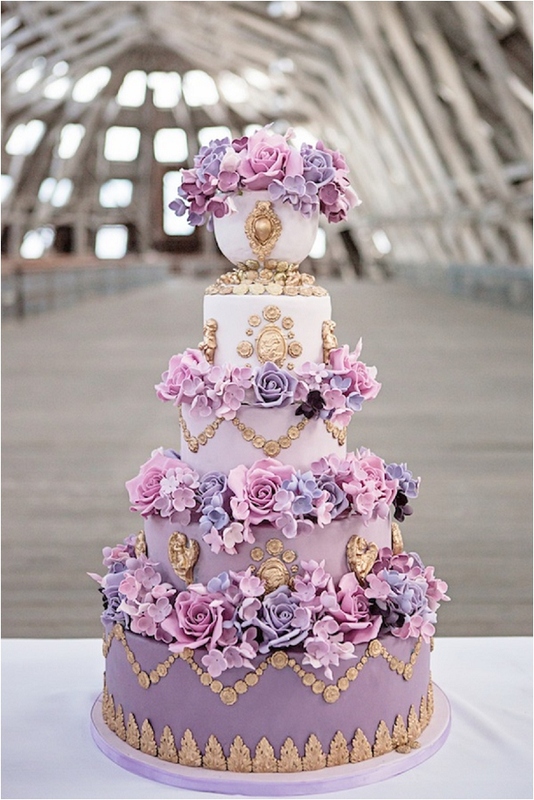 A wonderful choice for any bride that adores the regal opulence of purple and wants her cake to pop in 2014. 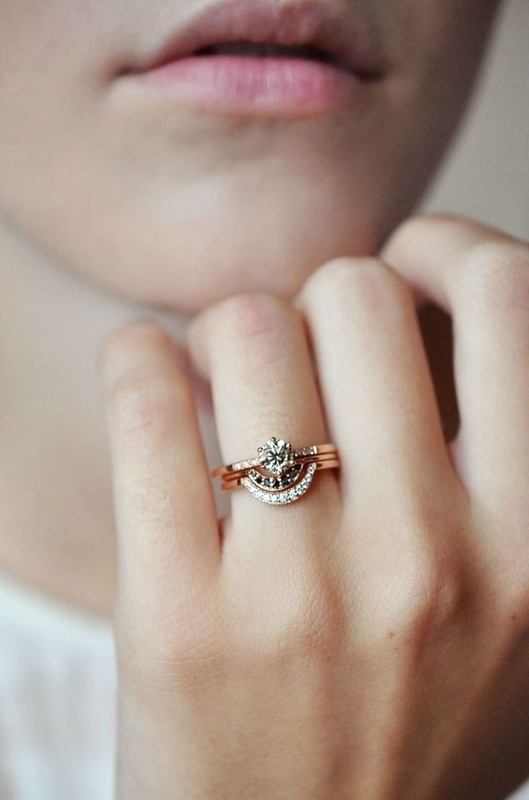 Golds, silvers and bronzes. 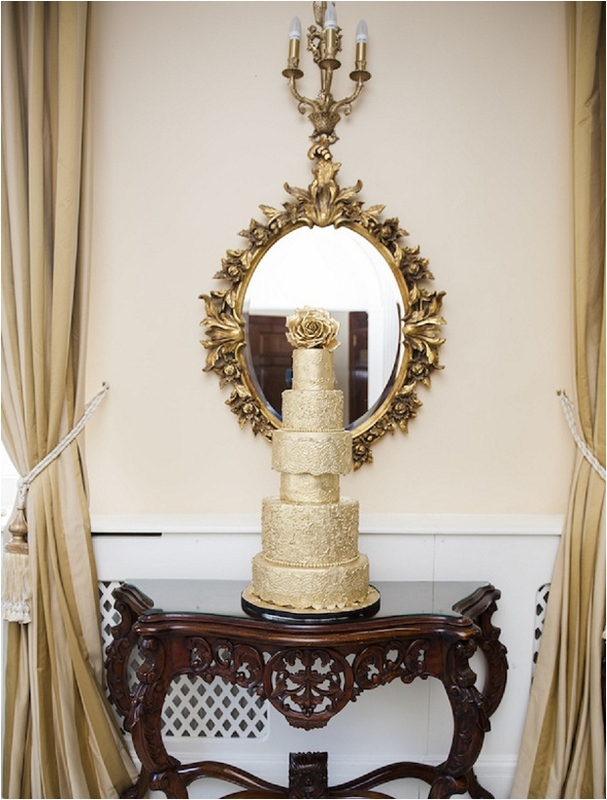 Metallic touches and accents on cakes were one of the hot wedding cake trends of 2013. 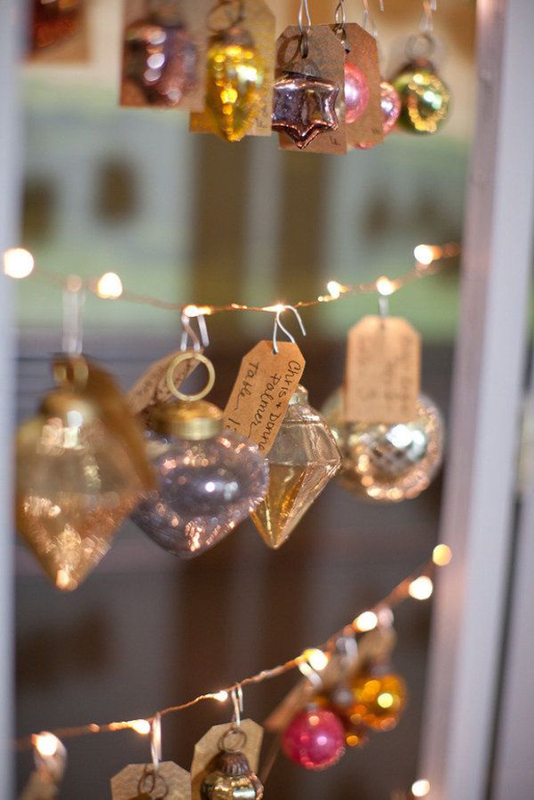 Brides, you can now add a touch of one of these precious metals to the centre piece of your reception and continue this top wedding cake trend! Traditional cake flavours such as Vanilla, Chocolate and Lemon will still be popular but these flavours will be enhanced with liquers, sophisticated buttercreams, ganaches, unusual conserves, purees, mousses, and gelees. 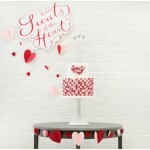 Also, you will see hidden designs and more colour inside the wedding cake. So there you have it my lovelies, what’s your favourite cake trend? Please do let me know! Now, go forth and eat wedding cake [oh, and on the way pass by the wonderful world of Elizabeth’s Cake Emporium]. Thanks for sharing your superb advice on 2014 wedding trends Elizabeth, I shall now spend the night dreaming of your yummy ganache filled creations. Mmmm. 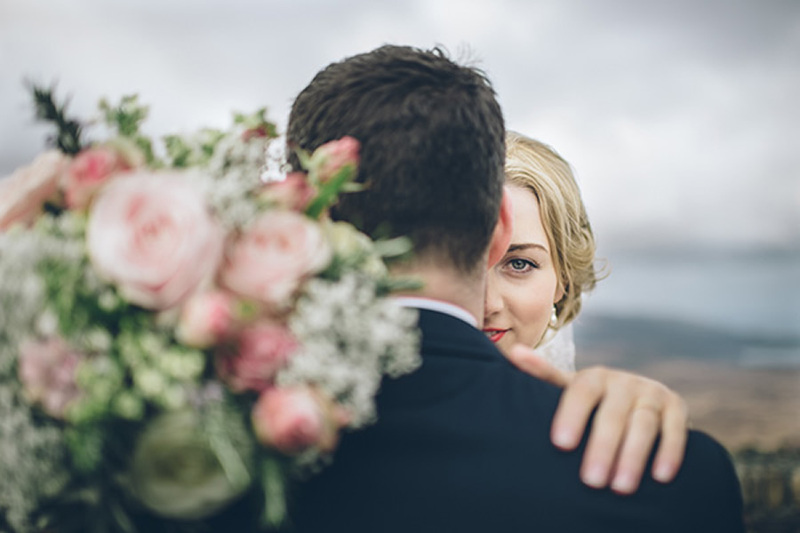 A Vintage Pastel, Robot Themed Wedding Shoot!